The Lion City has a strong pipeline of hospitals to respond to booming medical demand. Globally hailed as one of the most efficient healthcare systems in the world, Singapore’s healthcare sector is rapidly maturing on the back of steady and proactive investments to address the city state’s medical infrastructure gaps, giving it room to set its sights towards the provision and delivery of quality care. This shift is increasingly reflected by a change in funding priorities. After a steady increase from 2012 to 2016, total healthcare expenditure by the government actually fell from $10.48b in 2016 to $9.82b in 2017 which might give off the wrong impression of reduced healthcare allocations despite booming medical demand. However, if the data is to be analysed into operating and development expenses, operating expenditure actually increased by 10% YoY in 2017 from $8.2b to $9.02b while developmental expenditure contracted 10% YoY in 2017 from $1.62b to $1.46b. “The increased operational expenditure reflects an increase in elderly population and a consequent increase in usage of healthcare services of public healthcare institutions and long-term care facilities. The decrease in developmental expenditure can be attributed to the completion of several infrastructure projects aimed at increasing the number of hospitals,” according to Vikas Bedi, APAC Healthcare Research at GlobalData. The completion of the Integrated Development of Sengkang General and Community Hospital as well as the Changi General Hospital in 2017 also contributed to the lower developmental expenses in 2017, he added. 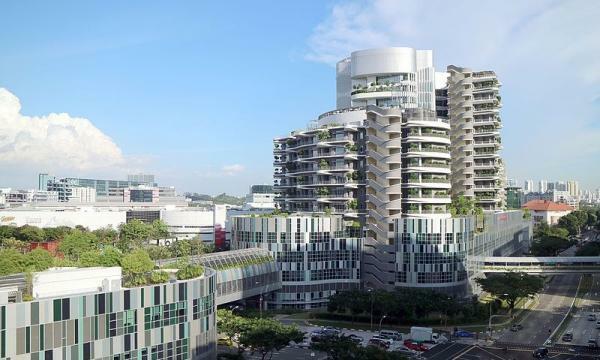 Singapore has been stepping up medical infrastructure investments in recent years in anticipation of heated demand especially as city's ageing population is expected to double to over 900,000 by 2030, according to government estimates. Although there’s a healthy pipeline of infrastructure additions including six new hospitals scheduled for completion by 2022 and around 14 new polyclinics by 2030, Singapore is not exempt from issues of overcrowding as the present medical infrastructure still grapples with congestion at certain points of the day. The average waiting time to be admitted to a ward from the emergency department falls at around 2.5 hours, said ValuePenguin Singapore analyst Anastassia Evlanova, citing health ministry data. This metric is used for hospital overcapacity as this suggests that there is not enough personnel to handle patient requirements. Of the six public hospitals, Tan Tock Seng Hospital had the longest waiting time at around 4.5 hours during the time of study and had the second highest bed occupancy rate of 95%. Singapore General Hospital, Ng Teng Fong General Hospital, National University Hospital and Changi General Hospital had respective waiting time periods of 3.7 hours, 2.3 hours, 2.2 hours and 1.7 hours. On the other hand, Khoo Teck Puat Hospital had the shortest waiting time at 0.7 hours. In response to the congestion problem, the team at Changi General Hospital has tapped on big data technologies that analysed the arrival patterns of patients coming to the emergency department, enabling them to better distribute their scarce manpower to serve patients better during peak hours, reports TODAY Online. The government has also rolled out several initiatives to improve healthcare facilities for the elderly which includes topping up the Seniors' Mobility and Enabling Fund by $100m over the next five years and providing $150m for subsidised transport services to eldercare and dialysis centers. The administration is also working overtime to bring the number of hospitals, both public and private, from 27 to 33 in 2022. “One also needs to look at how the Government of Singapore has been developing and facilitating the healthcare coverage and delivery over the years. The proactive steps taken by the government over the years as well as the advance planning and provisions outlined in the budget of 2018 bodes well for the healthcare system of Singapore,” added Bedi.